Look at the joy in that little girl's face. 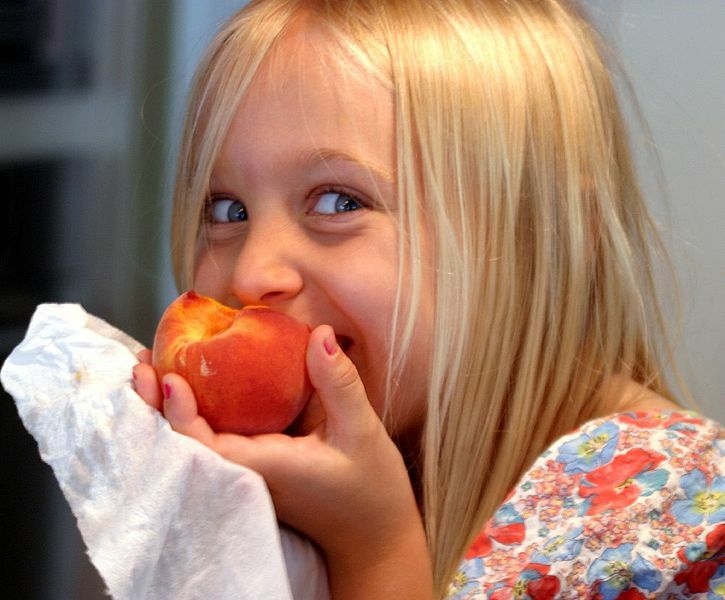 She is loving that peach! When you have autoimmune disease and choose food as medicine, sometimes that joy gets replaced with fear. When I first discovered the connection between food intolerance and rheumatoid arthritis pain, I went through a period of being afraid every time I sat down to eat. 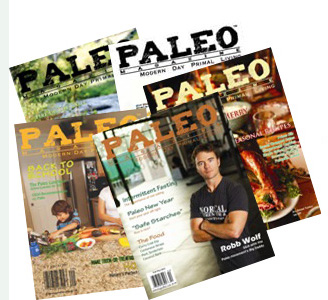 Finding the paleo diet was a gift, because it gave me a template of safe foods to enjoy. When I hit a healing plateau, I turned to the autoimmune protocol and learned that dairy and nightshades were inflammation triggers for me. I stopped eating them, and my flares disappeared altogether. Some people find they need to restrict further to feel their best, reducing their intake of FODMAPs or oxalates, for example. Are you seeing the pattern? 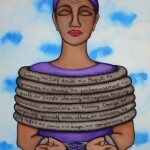 In our journeys to heal, the first thing we do is eliminate foods that are the problem. The question is, are we also focusing on the foods that are the solution? Dr. Terry Wahls is famous in the paleo community for reversing her multiple sclerosis symptoms, moving from a wheelchair to a bicycle in less than a year. But did you know it wasn’t the paleo diet that created this miracle? 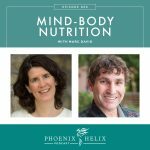 Going paleo slowed her decline, but she didn’t get better until she discovered the 31 micronutrients the body needs, and the foods that provide these nutrients, and started making them part of her daily diet. Removing inflammatory foods helps take us out of crisis, but deep nutrition is required for us to heal from the inside out. Quite honestly, that’s hard to achieve without effort. Over the years, we’ve bred crops for a sweeter taste and higher yield. A side effect has been a dramatic loss in nutrient density. Jo Robinson, author of the book Eating on the Wild Side, spent a decade studying the nutrient content of modern vs. wild foods. This is what she found: “Dandelions, once a springtime treat for Native Americans, have seven times more phytonutrients than spinach, which we consider a ‘superfood.’ A purple potato native to Peru has 28 times more cancer-fighting anthocyanins than common russet potatoes. One species of apple has a staggering 100 times more phytonutrients than the Golden Delicious displayed in our supermarkets.” This is true across all produce, so to the get the nutrition we need, we need to go out of our way to choose the most nutrient-dense foods available, and we also need to eat more food overall than our ancestors did, especially if we’re trying to heal autoimmune disease. First, don’t assume you’re eating enough. Verify it. Enter your daily (or even better your weekly) diet into a website like cronometer.com. 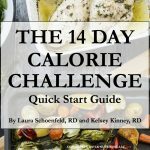 Are you meeting your macronutrient and micronutrient goals? If not, adjust your menu until you are. If you are particularly low on certain nutrients, search the internet for the foods highest in those nutrients, and start adding those foods to your menu. Don’t try to make up the difference with supplements. 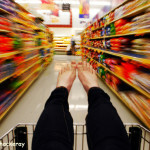 Whole foods are full of synergistic compounds that feed our bodies in ways scientists are just beginning to understand. 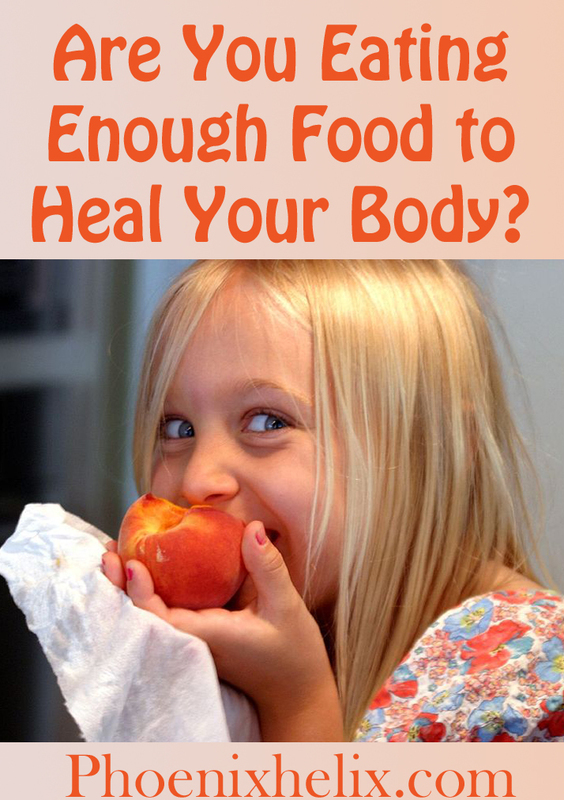 A pill is a band-aid; food can heal. Make bone broth part of your daily diet. It's filled with bone marrow, collagen, gelatin, glycine, proline, hyaluronic acid, chondroitin sulfate, calcium, phosphorus, magnesium, and potassium. Bone broth is a food that acts like a supplement, supporting the cellular processes that happen throughout our bodies every second of every day. It's especially helpful for healing leaky gut. Eat organ meats at least once a week, more is even better. They contain between 10 and 100 times more nutrition than muscle meats, and are the quickest way to ensure you’re getting the building blocks your body needs to heal. Eat more wild caught seafood. It’s an easy-to-digest protein that’s high in omega 3 fatty acids and contains selenium and iodine, two essential minerals hard to find elsewhere. If you tolerate pastured egg yolks, add them to your daily diet. They are excellent sources of vitamins A, B12, D, E and K2, all of which are essential to autoimmune healing. This is why Sarah Ballantyne recommends them as one of the first foods to try to reintroduce, after the elimination period of the AIP. Increase your consumption of healthy fats. Every cell in your body is made of 50% fat and your brain is 60-70% fat. We've all been taught to fear fat over the past 50 years, but that advice was based on faulty science. Our bodies need fat! Load up on the vegetables. Dr. Terry Wahls recommends: 3 cups of greens, 3 cups of brightly colored, and 3 cups of sulfur-rich daily. The more variety your eat, the more diverse your nutrition. Every time you go to the grocery store or farmers market, buy something you’ve never tried before: a new fruit, vegetable, or cut of meat. Let's leave our food fear behind. Photo credit: Bruce Tuten via Wikimedia (creative commons).